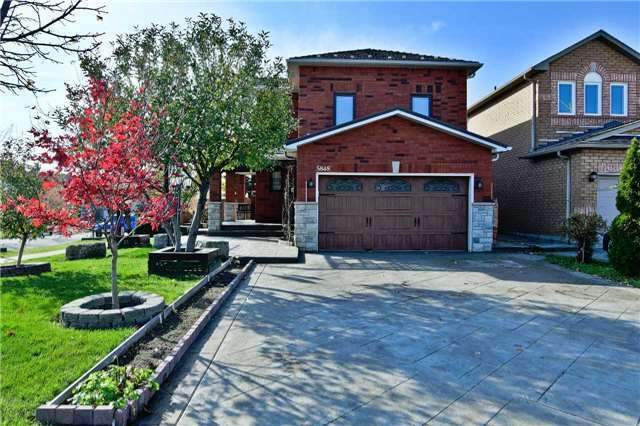 Gorgeous Detached Home On A Corner Lot,4Bdrm,4Bath In Heartland! Brand New Upgrades W/Stunning Kitchen W/Movable Centre Island Topped W/Granite Counters, S/S Backsplash, Under Mount Cabinet Lights!Hardwood Flrs Throughout!O/C Liv/Din! Cozy Family Rm W/O To Landscaped Backyard!Backing Onto Park!Upgrd Washroom Vanities W/Quartz Counter&Faucets!Mstr Bdrm W/Build In W/I Closet, Ensuite!2nd Master W/W/Icloset & Sitting Area! Laundry On Main Flr! Freshly Painted!! !